Some clients simply cannot afford my fees. While I try to charge fees that fairly compensate me for my time and service I can’t always charge a fee that clients in financial distress can afford. These clients will need to file pro se, hire a bankruptcy petition preparer or retain a cheaper attorney. 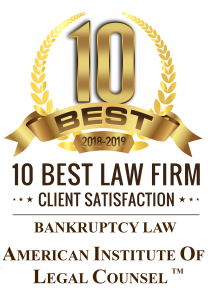 People considering bankruptcy should do everything they can to avoid filing on their own without representation or the assistance of a bankruptcy petition preparer. The Bankruptcy Code is contained in an entire Title of the United States Code so it is by no means an easy area of law. Countless petitioners representing themselves have had their cases dismissed or lost assets that were otherwise exempt. If you truly cannot afford an attorney even hiring a bankruptcy petition preparer is preferable, but these individuals cannot give you legal advice or represent you at the meeting of creditors. Some clients need to hire a cheap bankruptcy attorney. By cheap I mean that the client cannot afford to pay $1,300 in attorneys fees. These clients often need to meet with several attorneys to get quotes and attempt to negotiate their way to a lower fee. Instead of wasting the time of these attorneys I encourage clients to call bankruptcy attorney Michael Benavides at (707) 362-4166. I refer all clients who cannot afford my fees to Mr. Benavides for representation as his fees are generally the lowest you will find in Sacramento. The trade off is that Mr. Benavides is located in San Jose so you will need to meet with him by phone and mail your signed documents to his office. Nevertheless, rest assured that he will drive to Sacramento to represent you at the meeting of creditors.